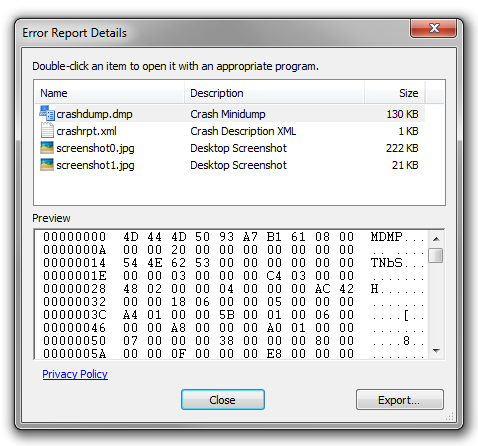 Crash Reporter is an utility that saves the state of PixaFlux.exe when it crashes, and then displays a windos asking the user to submit the crash report. What does this report contain? Opens a window with the contents of the report. Provide additional information about the problem Opens two text fields for an e-mail address and a description of how the error occurred. Send Report The report is uploaded to an FTP server, where it will be reviewed to provide a fix as soon as possible. Close the program Closes the program without sending any information. Clicking the What does this report contain? link opens the Error Report Details window:? Files in the Error Report Details window can be opened with a double-click. crashdump.dmp A Visual Studio file with the state of PixaFlux.exe just before the crash. 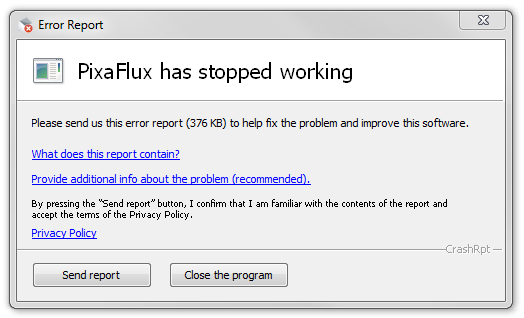 This file tells us exactly where and why PixaFlux crashed. 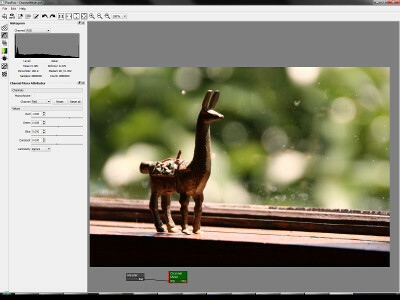 crshrpt.xml This file contains information about PixaFlux and information about the operating system. 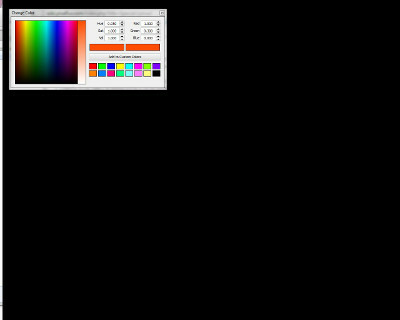 screenshotN.jpg A screenshot of all the desktop monitors. Crash Reporter black out all pixels not related with PixaFlux!